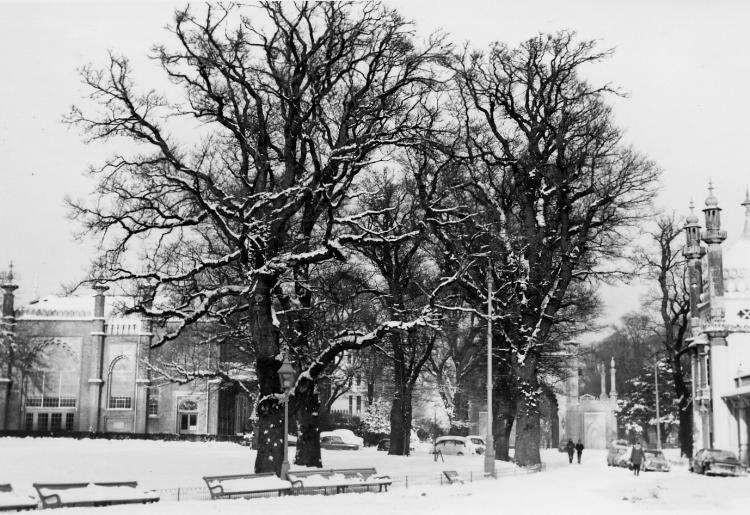 These photographs where taken in the 1960s. 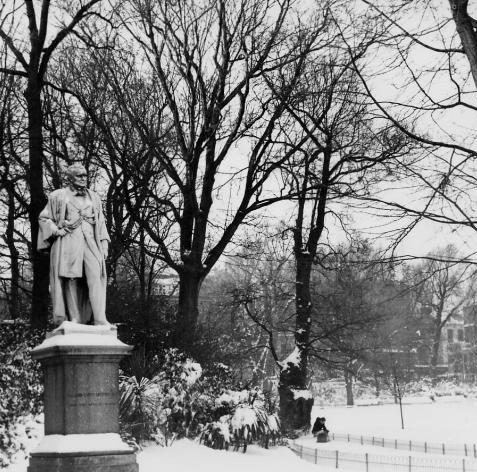 They were taken during one of the coldest winters of that decade. I can’t remember exactly which year but I think it was probably 1962 or 1963. 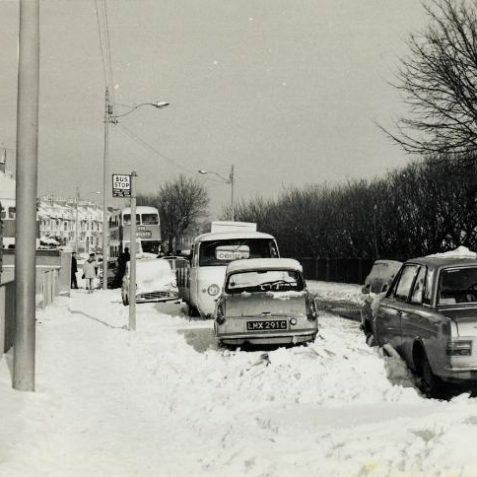 The Ford Cortina in the photo of Freshfield Road has an F number plate which would date it to 1967 or 1968 I believe, so it’s more likely these photos are of the heavy snow fall of 8th December 1967. 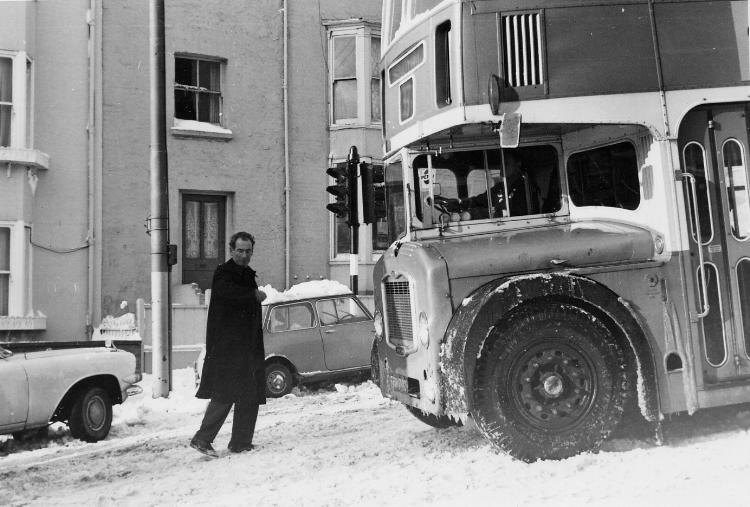 I remember a heavy snow in 1967. I was living in Peacehaven at the time. 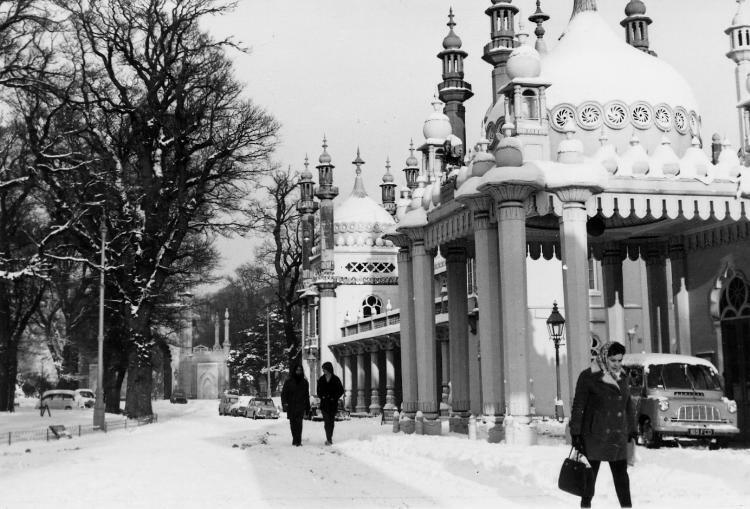 My husband and two friends had gone to Brighton in the morning. It took them 5 hours to walk back to Peacehaven. 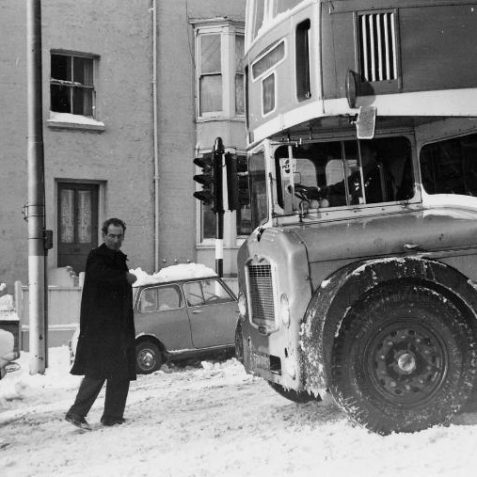 This is likely to be the very heavy snowfall that took place in early December 1967 – starting in the late morning. The clue is the registration numbers of the cars in Freshfield Road. 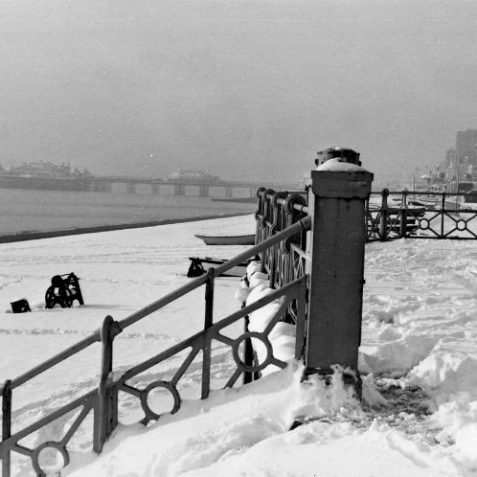 I agree as well, it’s definitely 1967, the clothes worn by the youngsters in the photo of East Street Groyne give it away! 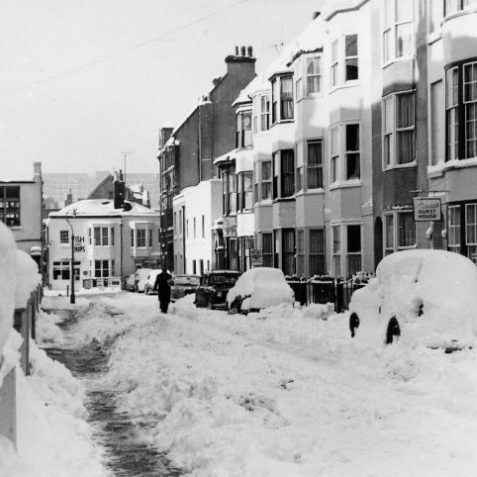 The snow started late on the Friday morning and by lunchtime it was very thick and we were sent home from school. 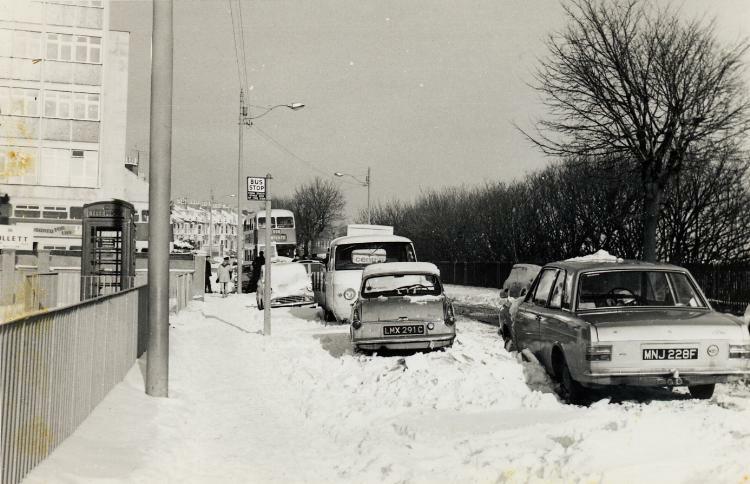 I had to walk from Cottesmore in the Upper Drive home to Hangleton as the buses stopped running. 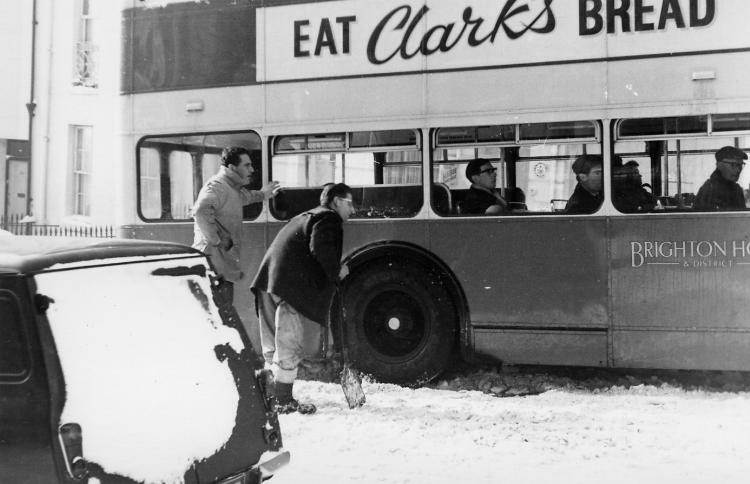 Unlike 1962/63, the snow did not hang about for any length of time, but it was great fun while it lasted! 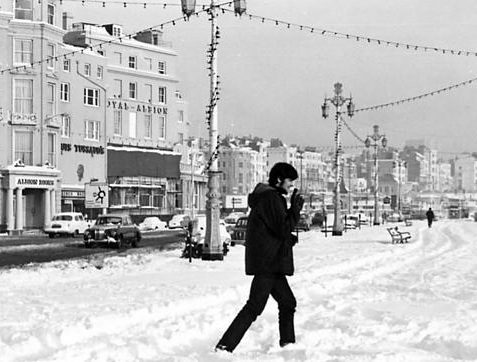 The snow of 8 December 1967 caught everyone out. I was then Contingent Sergeant Major of Brighton Hove & Sussex Grammar School Combined Cadet Force and went to school in uniform but without my greatcoat. 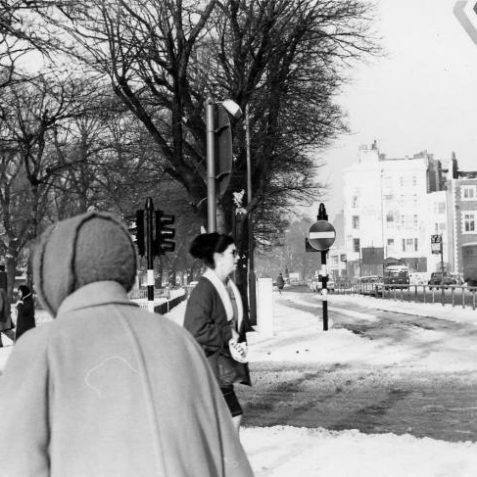 Then the blizzard started; I cadged the last greatcoat from the stores (meant for someone six inches taller than I) and trudged off home along the Old Shoreham Road, eventually directing traffic at the junction with Holmes Avenue. 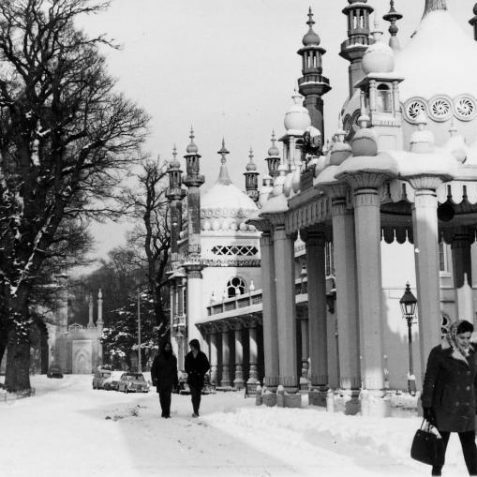 The hill past Hove Cemetery was a giant skating rink. When I got home I was more like a snowman than an army cadet! 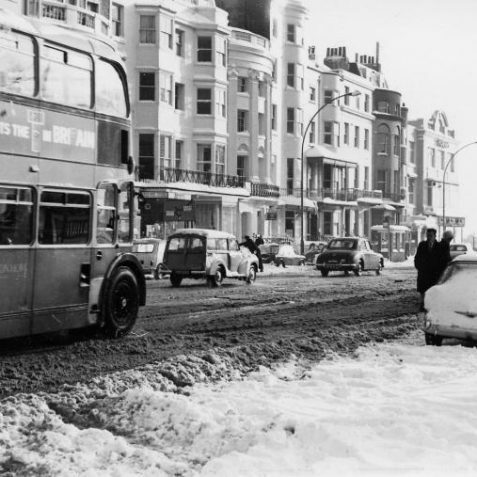 During the winter of 1962/63 I was living with my parents at the top end of Poplar Avenue in Hove, close to the Downsman public house. 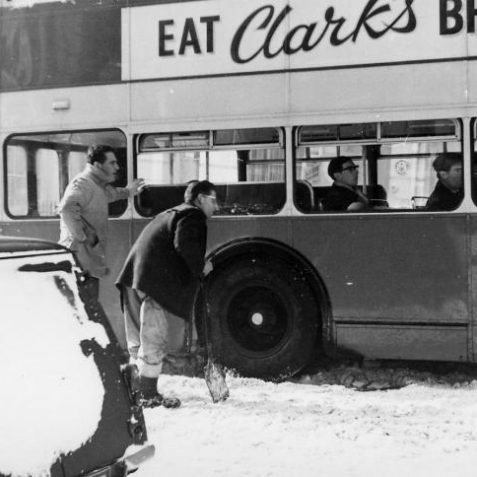 Due to the heavy snow fall, neither the buses nor the milkman could make the journey up the steep hills to where we lived. So my Dad, our two next door neighbours and I walked down to the milk depot that was then at the Boundary Road end of Hallyburton Road and bought a full crate of milk (20 pints). We took it in turns to tow this home on the end of a rope and make sure that two old couples and one with young children had milk. Yes it was 1967. That evening was the first anniversary party celebrating the opening of the then new Top Rank Ice Rink. If I remember correctly less than 10 paying skaters turned up but those of us involved in the organisation had a near-private party with not a little liquid refreshment – but it was a long cold walk home afterwards. 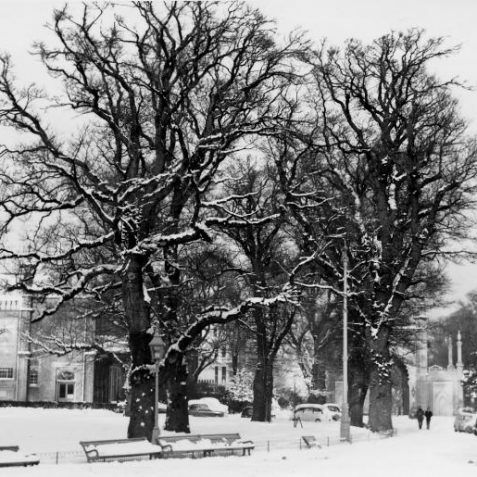 We were married in 1962, and lived in Landsdown Place, the snow was a good drift, cars were absolutely stuck, all except our three wheeler Bond. We were so poor that every days work counted, the rent had to be paid. So we donned our hats and scarves, and lifted my husband’s car out of the snow and off he went to his days work leaving the posh cars behind! 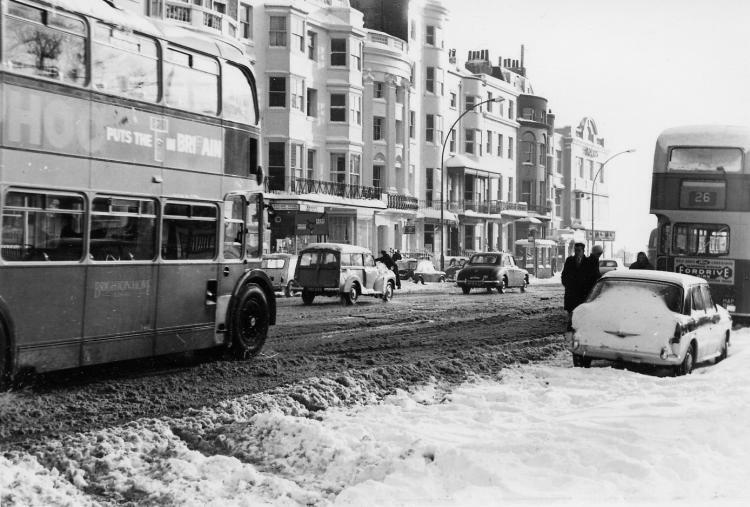 This is definitely 1967, I walked with a group from our Bass Charrington depot at Newhaven into Brighton, braving the blizzard. In 24 hours the snow was gone. I was a Police Constable in Newcastle under Lyme. It started snowing about lunchtime. 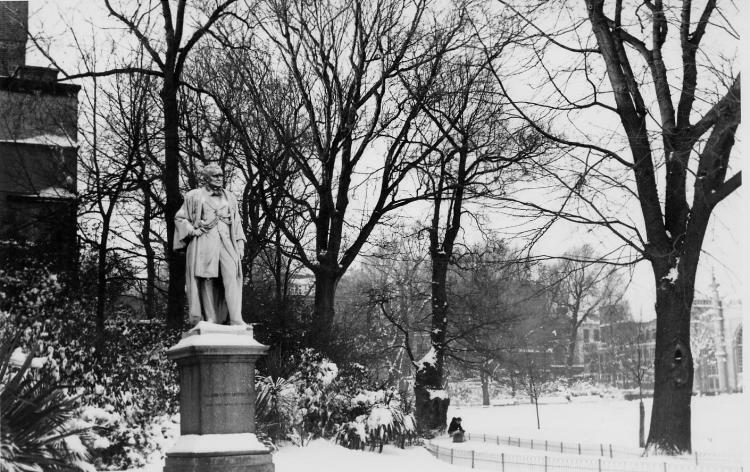 Snow flakes were enormous i.e. about 8 cms across. By 5pm the whole country was paralysed. People had to sleep in the police station corridors. We had to walk to 999 calls where possible. 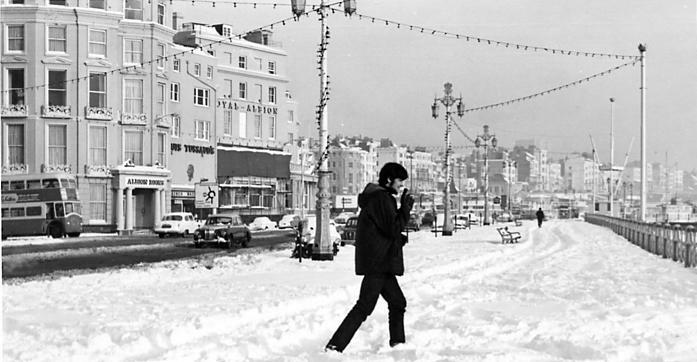 No public transport running, people were walking up to 10 miles home from work or booking into hotels. A miner at Parkhouse Colliery had renal failure but ambulances couldn’t get to him. It all happened so quick. An amazing event. 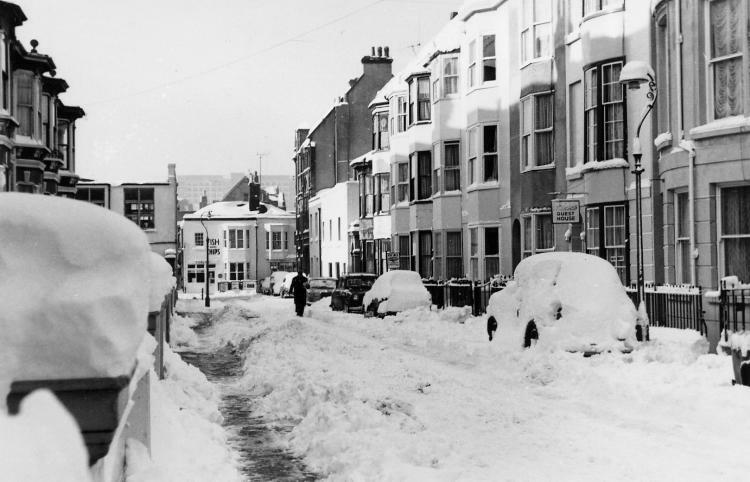 I remember 1962/63, I was 5 years old and in the 2nd year at Moulsecoomb Infants School. We lived at 48 Colbourne Avenue so it was just around the corner. 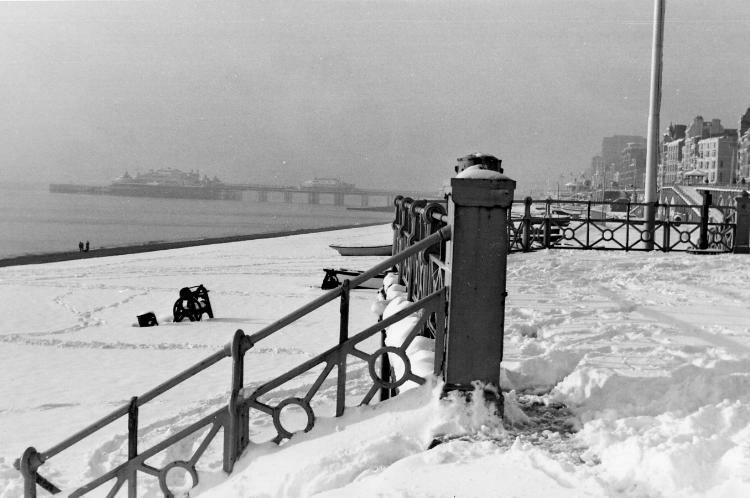 As a small boy I have a vivid memory of it going on and on as it was so cold! 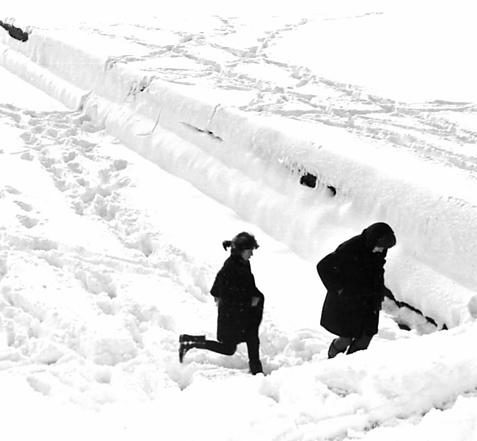 One day we opened the front door and the snow had drifted halfway up the frame! My Nan lived with us and she had her own front room so there were 2 coal fires going in the house which was a blessing. The coal men still managed to deliver, my parents said in later years that we still had coal and milk deliveries, even on the estates, life still went on but it was just a bit difficult. This was less than 20 years after the war so most of the adults who had lived through that were used to a bit of hardship and luckily for us kids we were fine. Our coal shed was actually attached to the kitchen (my Dad later knocked this down and extended the kitchen) and the noise was thunderous when the coalmen emptied their sacks through the delivery hatch (later used as a kitchen window). 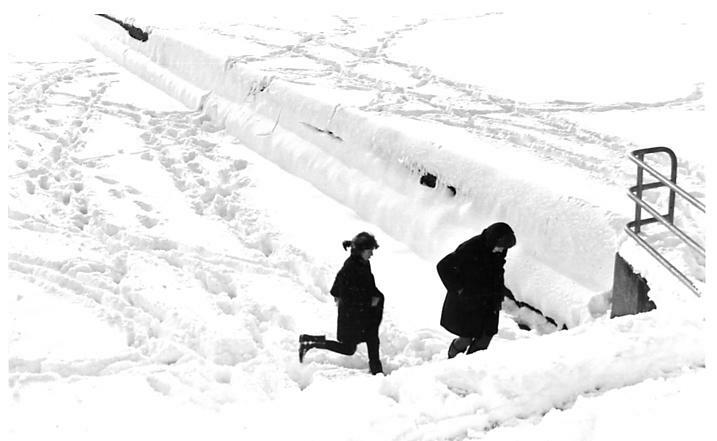 One of my memories is that I didn’t get my first pair of long trousers until I went into senior school as did my friends at school, so, yes that’s right, for that winter we were all in shorts! 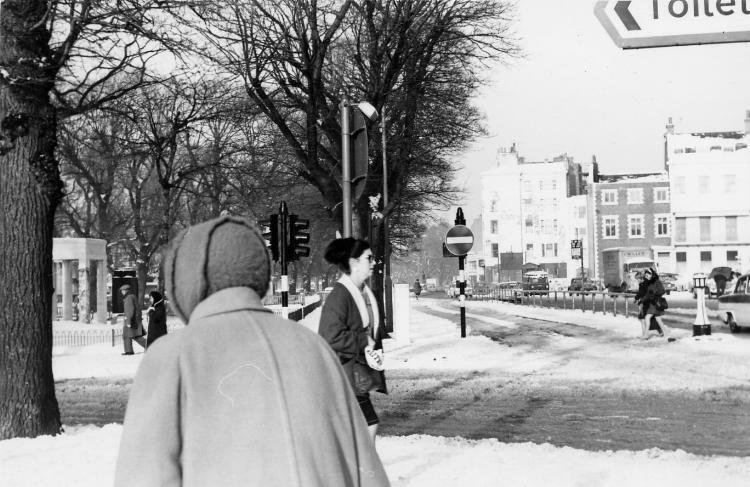 Sometimes we went to school and it was announced at assembly that the boiler wasn’t working so on went the coats (no being sent home in those days!). I also remember that the washing used to freeze on the line like cardboard. I was never one to play out in it, it was far too cold, I was happy by the fire with a jigsaw puzzle.